Once again, Simonis Plastic was present in important international plastic fairs in 2017. 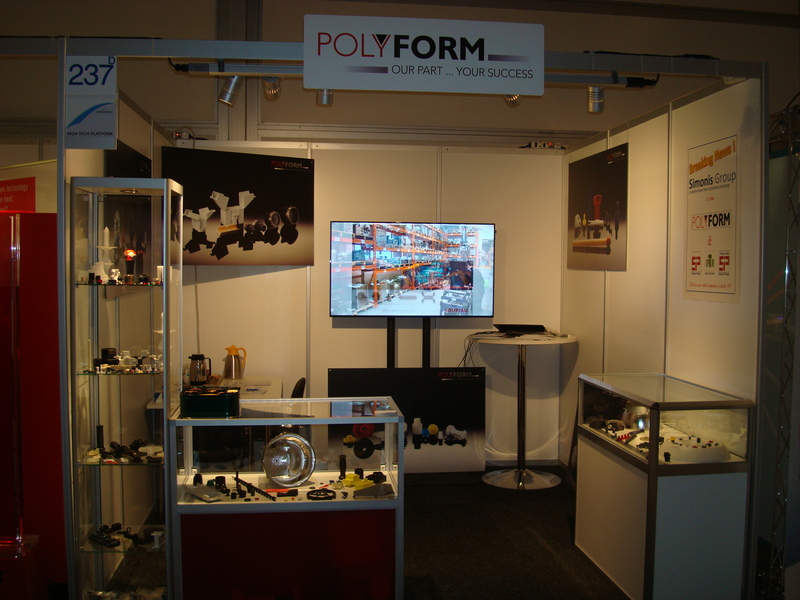 In October you might have visited our stand at the international Trade Fair for Plastics Processing : Fakuma in Germany or in September at Kunstoffen in the Netherlands. All the fairs which Simonis participated in allowed us to not only reiterate its presence in the different markets, but it also permitted to meet customers and suppliers alike, reinforcing our relationships, encountering new prospects with potential and exiting new projects. Moreover, these events have given us the opportunity to announce the acquisition of Polyform, which is now a member of Simonis Group. With this merger, Simonis Group’s total global turnover will attain levels superior to 11M€. It is becoming clear that its constant willingness to innovate makes Simonis Plastic strive to broaden its horizons, continuously pushing the envelope to develop new ideas which allow customers to cut cost or do things that were previously not possible.